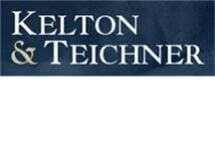 From offices in Queens and Long Island, the lawyers at Kelton & Teichner provide experienced guidance in divorce and family law, criminal defense and other practice areas. When you choose our law firm, you can expect the kind of thoughtful, reasoned approach that comes from more than 30 years of experience. Our goal is simple: to resolve your legal problem. We know that most legal problems can be resolved positively without a stressful, costly and time-consuming battle. The fact that we have handled these cases for decades means that there are few challenges we have not encountered before and do not know how to overcome. Furthermore, we are familiar with the judges, attorneys and other parties involved in these cases. Expect us to find the most straightforward, positive resolution to your case. Your family law or criminal defense case will get hands-on attention from one of our experienced lawyers. At all times, you will remain involved in the decision-making process. You will be kept updated about your case's progress. If you have any questions along the way, you will have no problem getting in touch with the lawyer handling the case.